Neon lights are everywhere, and oh-so-beautiful to look at. 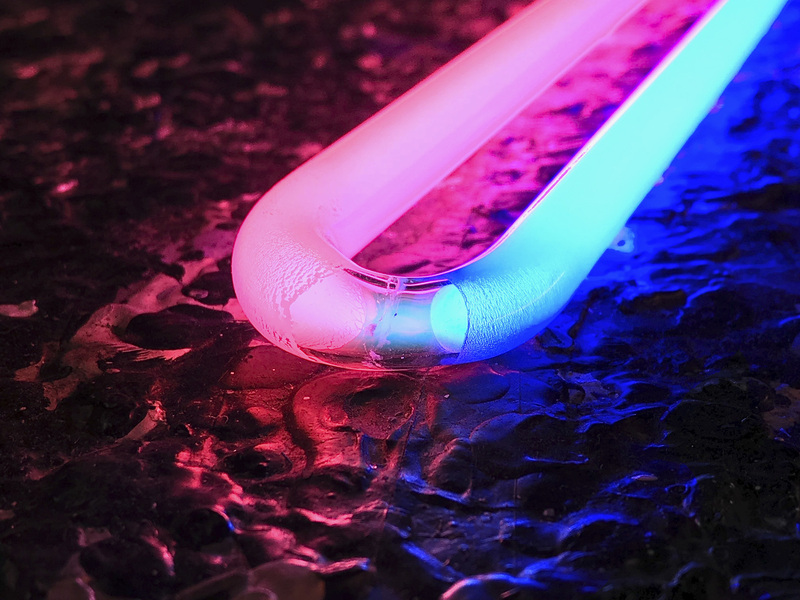 Enjoy a two-hour private introductory lesson to uncover the basics of how neon is made. Under the safe guidance of an experienced instructor, make your own geometric shape to take home - a perfect accent piece for a living room or bedroom. Students will observe how completed pieces are filled with a noble gas to become luminous, and receive instructions on how to safely install their neon at home. A wiring kit and transformer will be provided with the lesson.